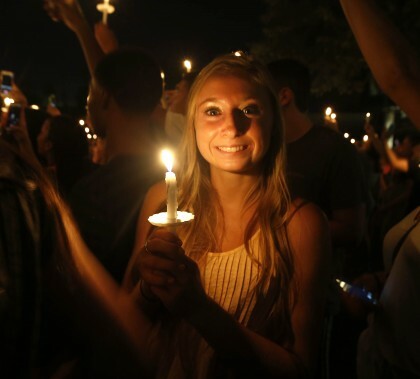 GCU’s longest and most ambitious Welcome Week was memorable for a lot of people, especially for arriving students and their parents. To put it in perspective, GCU Today looks back in this wrapup at what made it so special. Here’s an idea: That was so much fun, let’s do it again next year. 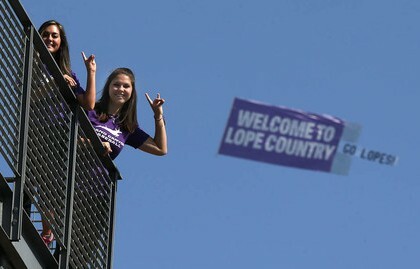 Photos by Darryl Webb GCU News Bureau GCU held its first “March to the Match” Friday, in which hundreds of students and others revved up their engines with a spirited walk across campus that ended at the Soccer Field, where the Lopes women played Northern Arizona. GCU won the thrilling overtime match, 3-2, beating NAU for the first time in school history. Photos by Darryl Webb GCU News Bureau Music, lights, glow sticks, dancing — GCU’s first-ever Glow Party on Friday in The Grove was had it all. After a week of high temperatures and spirits during the longest Move-In in the University’s history, our new residents seemed to display no shortage of energy. Photos by Darryl Webb GCU News Bureau Capping off a fantastic Welcome Week, musician Phillip Phillips delivered a solid performance before a shoulder-to-shoulder crowd Saturday night at GCU Arena. Photos by Darryl Webb GCU News Bureau Grand Canyon University continued rolling out the purple carpet for new and returning students living on campus this year during an event just for out-of-state students and a huge comedy show for everyone. GCU Arena was packed — again — for The Mash Up on Thursday, setting the stage for a weekend of big events on campus, including the Glow Party Friday and the Phillip Phillips concert Saturday. 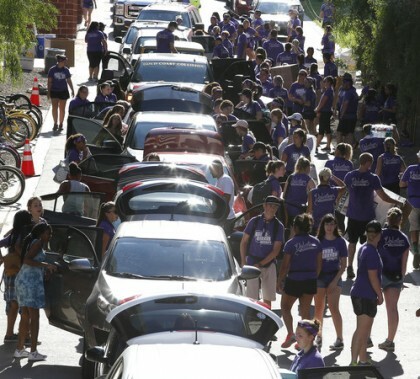 Photos by Darryl Webb GCU News Bureau GCU’s servant-hearted volunteers were everywhere as thousands more new students descended onto campus to move into Saguaro and Sedona Halls and the Papago Apartments Thursday, the fourth day of a weeklong Move-In. Volunteers kept spirits high and continued to make this year’s event one for the record books.